Nokia phones retain their value more so than competitor handsets? 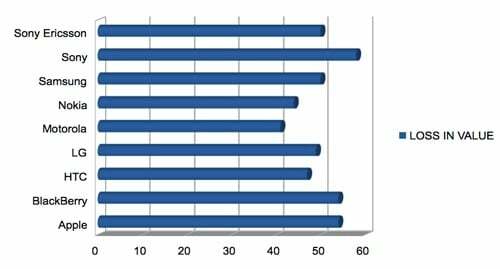 Should you be looking at the choice of purchasing a Windows Phone 7.x smartphone or waiting until Apollo arrives, you may find it interesting that Nokia handsets are reported to retain value more effectively than devices from other manufacturers and brands. According to Envirofone, leading UK mobile phone recycle specialists, you're likely to receive a larger return on trading in your Nokia mobile phone. Of course, when trading in your used handsets - whether they be smart or feature devices, you're going to be receiving a lot less than RRP. That said, it's good to know which brands retain their value most when looking to make a purchase, especially when a looming software upgrade is on its way which will not be heading to all current (and previous) generation handsets. 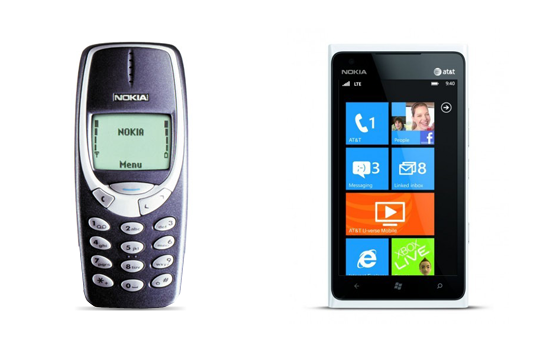 The question is: are we talking about older Nokia hardware, or their newer Windows Phones? I recently traded in my Lumia 800 (I owned two black versions) so I could dignify forking out a few hundred pounds for a new first generation TITAN - always wanted the huge display. I used Enirofone to trade in the Lumia 800 and received £132.54 on April 24th. At the time I found it to be a good deal, which was more than half of what I was paying for the TITAN itself. The 800 has dropped almost £30 in value in three months. The TITAN was released prior to the Nokia Lumia 800, but we should of course take into account the availability of the Lumia 900, which is the 800's more advanced brother. That said, there's the TITAN MK II, right? It seems, going by Windows Phones that have been released almost in the same month, Nokia is worth less than HTC at least. But this is comparing two Windows Phones. If you're truly old school, it seems 'ancient' Nokia handsets seem to be worth a fair amount with the E72 sitting at £48.06, which is just higher than the Samsung Omnia 7 at £33.02. We'll have to draw a conclusion that Windows Phone handsets themselves are losing value at a faster rate than competitor platforms, but if you have any old devices sat doing absolutely nothing in that blocked drawer of yours, you might want to check just how much it's worth. Have you visited Envirofone (or similar services) to trade your mobile phones? Let us know your thoughts on handset value in the comments.